The field of Distributed Data Mining (DDM) deals with the problem of analyzing data by paying careful attention to the distributed computing, storage, communication, and human-factor related resources. Unlike the traditional centralized systems, DDM offers a fundamentally distributed solution to analyze data without necessarily demanding collection of the data to a single central site. 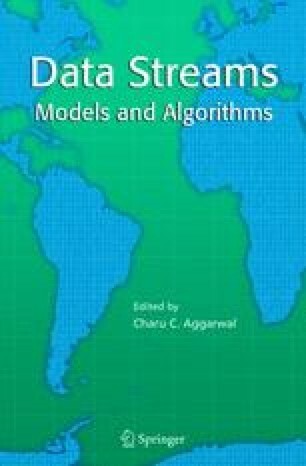 This chapter presents an introduction to distributed data mining for continuous streams. It focuses on the situations where the data observed at different locations change with time. The chapter provides an exposure to the literature and illustrates the behavior of this class of algorithms by exploring two very different types of techniques—one for the peer-to-peer and another for the hierarchical distributed environment. The chapter also briefly discusses several different applications of these algorithms.